Entry by usotsuki on Sun Apr 17 06:45:30 2011. OH GOD A PIC WHERE FEM!IGGY ACTUALLY LOOKS GOOD. NOT TO DISS HIMA-PAPA'S WONDERFUL DESIGNS, BUT THIS IS LOVE. People, Nyotalia!England with the pigtails is Himaruya's official design. DO NOT OFFEND. BUT SHE LOOKS AWESOME HERE TOO. I think Iggy looks like gender-bent version of Howl in Howl's Moving Castle. 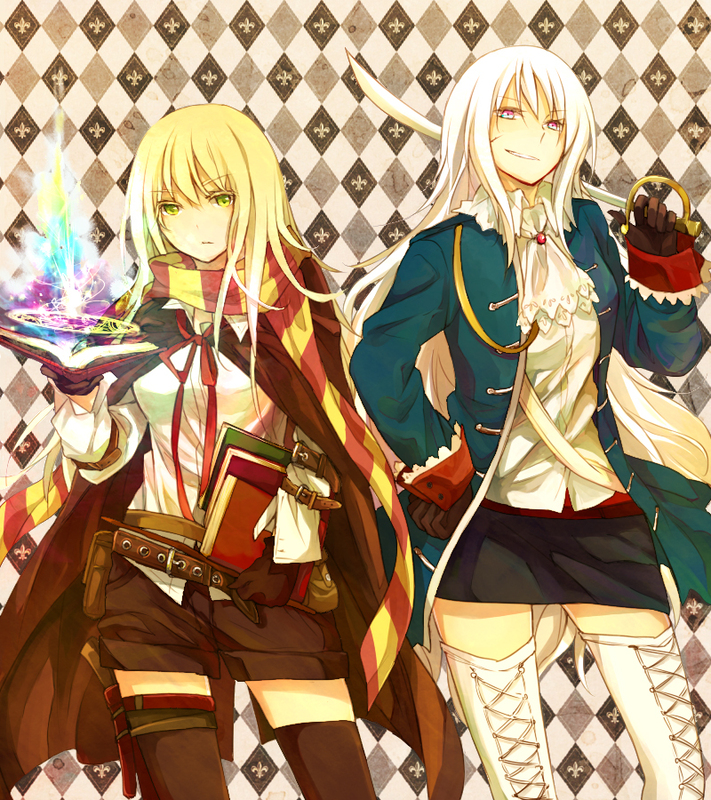 Damn, I've never seen fem!England look so good! Gryffindor!!! Those two are so badass together :D! I think that fem!Prussia looks like alice from pandora hearts for some reason. They both looking stunning! beautiful pic :D and finally one where fem!England doesn't wear glasses :P don't get me wrong, I love her but I think the glasses in combination with the pigtails make her look way too nerdy. They both look so beautiful *. * Dammit, I may be a girl, but that doesn't in any way stop me from drooling over these fine ladies!